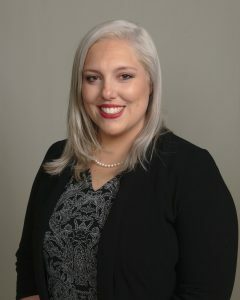 Shawn Lease joined the Lehner Carroll Shope Capital Management team upon the opening of our Canfield location in 2017 as the administrative assistant to Amy Shope. Shawn has over 10 years of experience in insurance, sales, and banking. Shawn has spent a large part of her life in NE Ohio and is a graduate of Ursuline High School in Youngstown. She then went on to earn her Bachelor of Science in Health and Nutrition at Youngstown State University in 2007. Prior to joining our team, Shawn spent her first 7 years out of college as an insurance agent; working for Nationwide Insurance and Allstate Insurance, respectively. To expand her horizons and knowledge, she then ventured into the banking world as a personal banker for Huntington National Bank. These experiences have given Shawn great communication and organizational skills that she has put to work since joining the team. She is the friendly face you can rely on to support your customers’ needs and manage your logistics with focus and grace. With an innate capability to prioritize and execute tasks nothing slips through the cracks. Shawn resides in Salem, Ohio with her husband Tad and sons, Garrett and Gavin. In her spare time, Shawn enjoys her coed softball team, watching her sons participate in sports, photography and crafting.